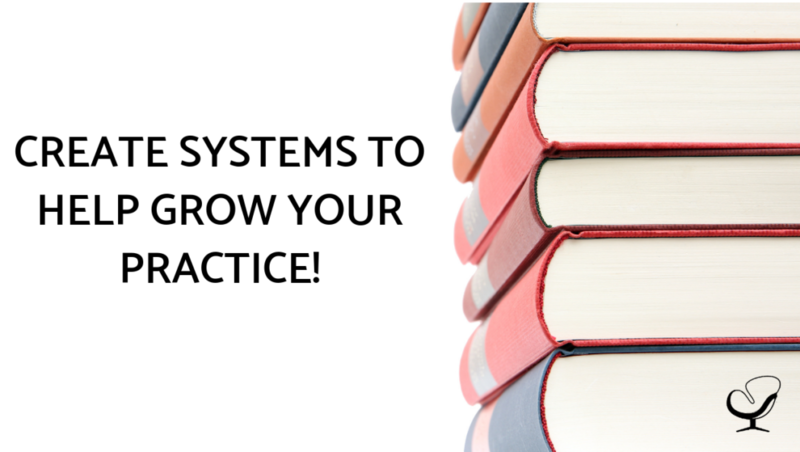 Create Systems to Help Grow Your Practice! Who here has ever looked at other practice owners and wondered how in the world they are able to run such a smooth and successful business! Not only are they managing/supervising their employees, but maybe they have a full caseload of their own. This is on top of trying to market their practice in a productive way to bring in more referrals! Whew! If you’ve ever looked at another entrepreneur and wondered how they manage to get it all done, the answer might actually come as a surprise to you. And the answer is… Systems! It’s the truth! Prior to expanding my own practice beyond me, I had heard about getting systems in place. In order to make things easier as well as to scale my business. I noticed that I had unintentionally created systems, but made the decision to consciously create more. The most productive people all have one thing in common: they don’t reinvent the wheel on a daily basis. Instead, they’ve figured out the best, most efficient way to do every task, and they create a system to do just that! How many times do you either answer the phone or receive email from potential clients? Or send out information to new clients coming in to see you or one of your clinicians? These tasks and more can become effortless when you create fill-in-the-blank templates that can be re-purposed for specific situations and/or people. Templates can be as simple as a “canned response” in your email client or social media bot, or you can use software such as Text Expander (for Mac) or Phrase Express (for Windows). You might even create a template document in Google Drive or Evernote or Trello to house all of your templates for easier access. Using templates will certainly save you time, but the wonderful part is that once they’re created, you can easily outsource things like email and your phones. Simply you’re your scheduler or assistant how to use your templates, and you’ll be free to do other, more important things; like scale your practice! Even if you tend to perform the same tasks consistently, such as send a response to incoming inquiries or send the necessary paperwork to new clients or send a response to a new referral source, it can be easy to miss a critical step in the process. You might think that you sent a response to each client or referral request, but when you look back, and realize that it was never completed. Enter the checklist! When you start to implement the use of checklists, it will become that much more difficult to miss an important step in the process. You can easily create checklists within a text document, or if you use an organizer such as Evernote or Trello, or something similar, you can create it in there as well. If you have decided to outsource, or have other colleagues who are part of a particular process, everyone on the team will be able to see exactly which tasks need to be completed and which ones still need to be completed. Using templates and checklists are a real game changer for those in private practice. Whether it’s just you, or if you have a team. It frees up time for you to be able to grow and scale your business. All of this without getting bogged down with the day to day, repetitive tasks! This podcast addresses systems to grow your practice. The next time you hire a new employee, respond to a client inquiry, or get a new client set up to come see you, take the time to record each step you take in that process. Having it documented will help you create a system that will make your job so much easier because you will also be able to hand it off to your admin as well! And if you are thinking about outsourcing, check out podcast #204! 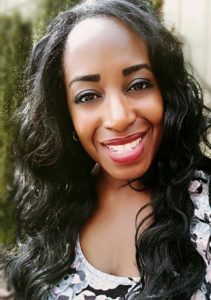 Melissa J. McLean is a Licensed Counselor and Certified Professional Coach who is the owner of Morning Joy Counseling. It is a successful practice that primarily helps individuals dealing with anxiety and depression. 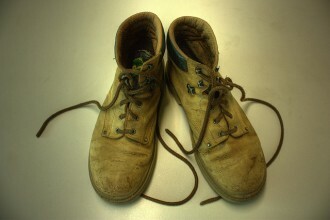 She also helps couples who want to rebuild or strengthen their relationships. In addition, Melissa helps other professionals move beyond the gap between visualizing their dreams and making it a reality. She does this by mapping out their next right steps towards having a successful and fulfilling business! Download her FREE 90-Day Goal Planner and learn the power of setting goals to increase success in your business HERE!